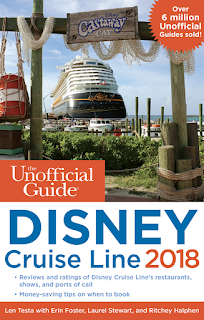 Welcome to the show notes for the Disney Dream Girls Podcast, show number 207 for Sunday 29th April 2018. If you want to listen, whilst you read these notes, all you have to do is press the green triangle on the audio player below. Alternatively, why not listen via iTunes, Sticher Radio or any podcast catching place! On todays' Disney Dream Girls, we welcome the lovely Erin Foster to talk about the Disney Cruise Line. Our first top tip is to buy the book! It is full of information, viewpoints and has years of contributors advice. 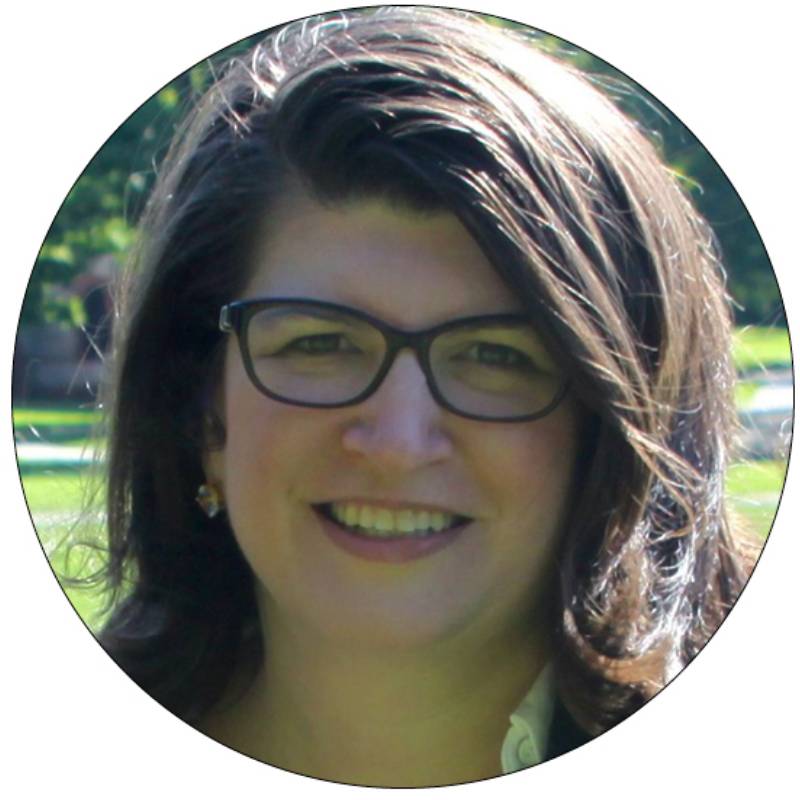 On the show, Erin shares some considerations for those wishing to book at trip. 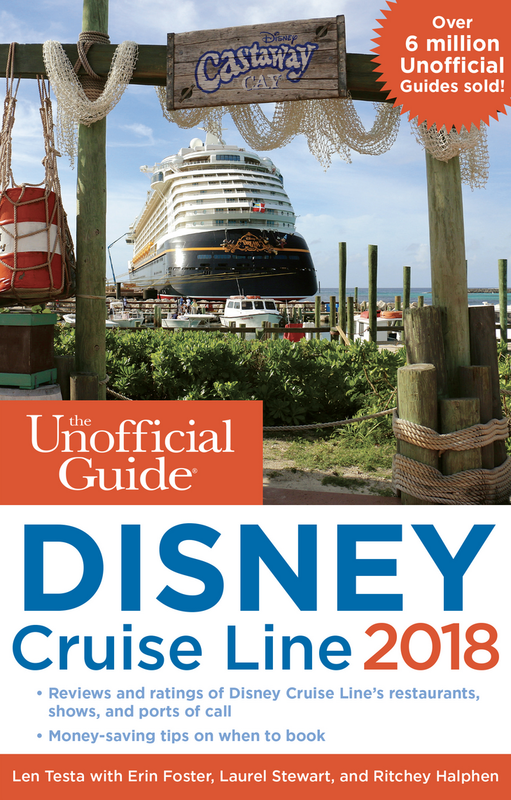 The topics we covered included what type of room to book, cruise itineraries, the time of year to travel and what you should bring with you. 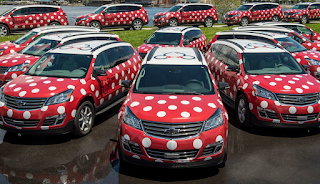 A big part of booking a cruise with Disney is their exemplary service. Erin discusses her thoughts on tipping and whether you should take gifts (instead of a tip) with you for your stateroom cast member. As a note, tips can be paid in advance (with the option to tip extra if you choose). 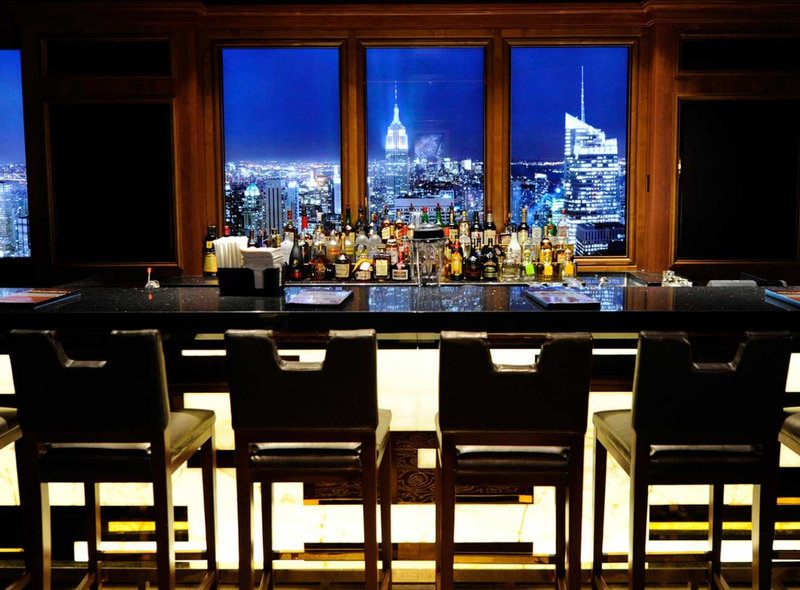 However some services, such as bar tenders, will expect a tip and these can not be pre-paid. 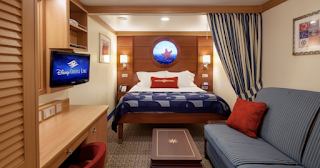 Another draw for many people is the food, whether the convenience of room service to buffets or the rotational table service dining - Disney Cruise Line has something to offer all. 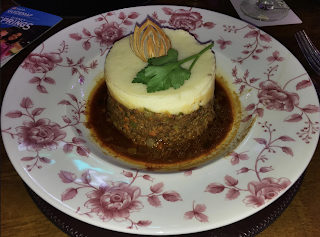 We also delve into the more upscale (and additional cost) restaurants that tempt many. We include information on how to book Remy and Palo and whether to go for brunch or dinner. Plus, what to do if you can't get a reservation. Although we didn't get a chance to discuss this element on the podcast, a big draw for many is a visit to Castaway Cay - Disney's private island in the Bahamas. 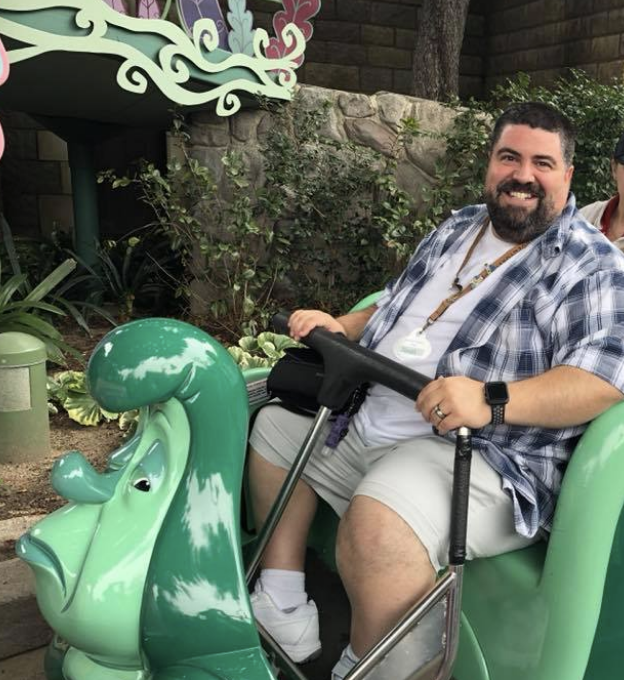 From discussions on previous shows, we know how much those who have cruised with Disney before have enjoy this, such as our good friend Becky Manion. On Michelle's trip she is planning to 'run' the 5K that is held on the island each morning. 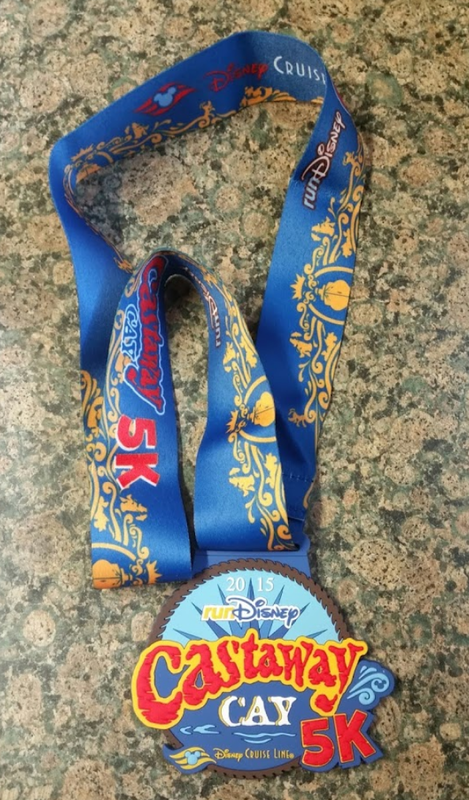 This means she will get her first Disney medal! Kat and Lewis (from Dis Down Under) will be joining her and together the trio will talk about it on upcoming podcasts. We would like to thank our wonderful guest Erin for taking time out of her busy schedule to join us to talk about the Disney Cruise line and we look forward to talking more Disney with her in the very near future. Thank you for visiting and we hope you will also listen to the podcast. 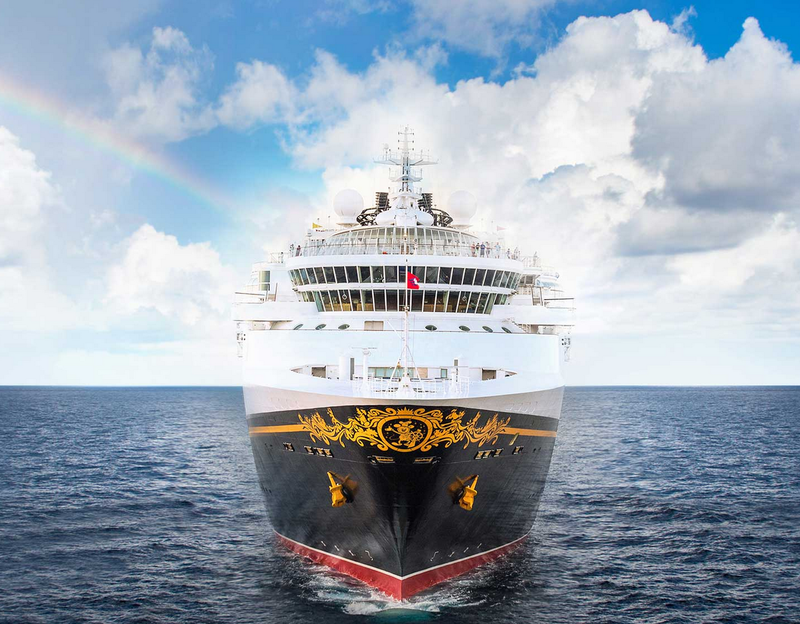 Welcome to the show notes for the Disney Dream Girls Podcast, show number 206 for Sunday 22nd April 2018. If you want to listen, whilst you read these notes, all you have to do is press the green triangle on the audio player below. 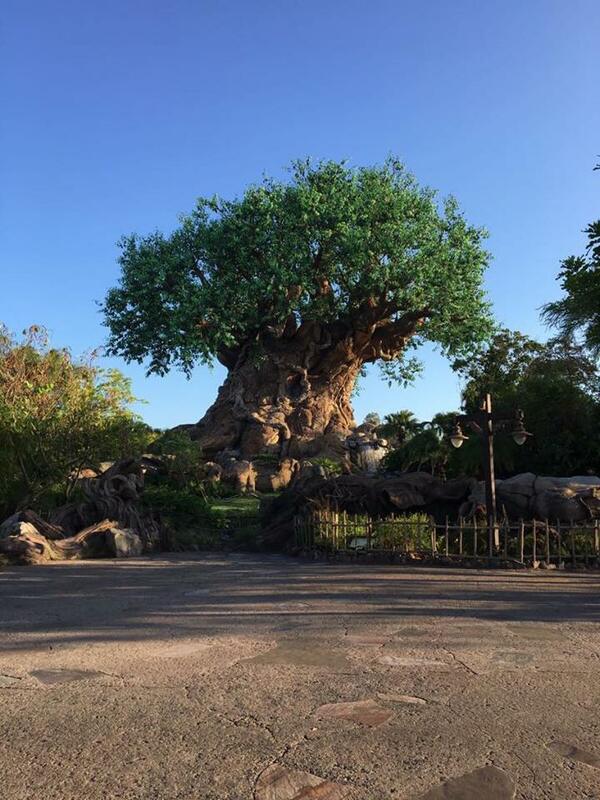 Today sees the birthday of Animal Kingdom - can you believe it is 20 years young? For us both, this park gives us upclose experiences with animals we would not normally come across and has a fabulous mix of entertainment and education. Over the years of visiting Animal Kingdom, we both have so many special memories and it is fabulous to see it grow having the addition of a new land. We hope this continues! Why not share yours with us? 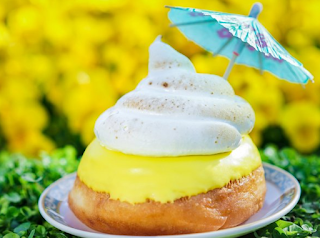 On this weeks show, we discuss an array of Disney news items that caught our eye and one of the most delicious was the Disneyland announcement of a doughnut themed to the much beloved Dole Whip. The crowds love it and daily wait in lines of around 30 minutes to take a bite of this $6 snack. So what makes it so special? It is a regular doughnut filled with pineapple filling, with a pineapple icing topped with toasted marshmallow. For decoration, it is crowned with a paper cocktail umberella. Those who have been fortunate enough to try do say it is an incredibly sweet treat but a delicious one at that. If you haven't tried it, well your luck is currently out as I believe it wont be back out for a few days. 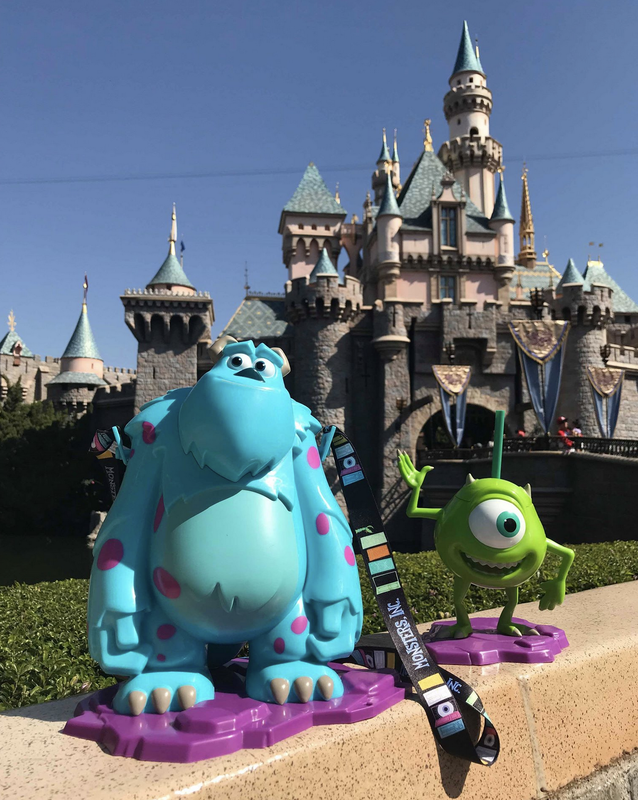 Popcorn bucket and sipper cup frenzy has also hit Disneyland with Pixar Fest seeing the release of a Sulley bucket and Mike sipper. Our lovely friend Tommy Allison (from the Dis Geek Podcast and The Cruise Dudes) kindly picked up a bucket for Michelle. We also review the Paint The Night dinner package you can get via a reservation at the Carthay Circle Restaurant. for $99 you can sample a four course menu and have a seated view of the parade. We then move on to answering an array of listener questions - from which Adventures by Disney trip we would take to which park we would visit next and lots more! 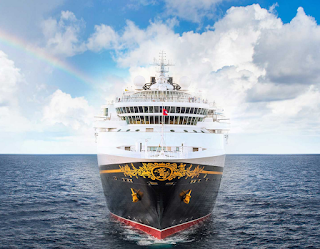 Welcome to the show notes for the Disney Dream Girls Podcast, show number 205 for Sunday 15th April 2018. If you want to listen, whilst you read these notes, all you have to do is press the green triangle on the audio player below. 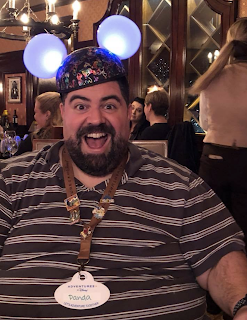 Coming up on this weeks show, we welcome back to the podcast the lovely John Saccheri - aka the Big Fat Panda. 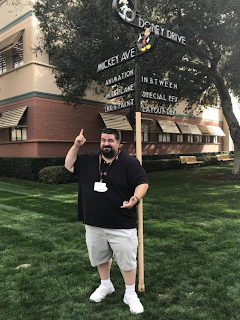 Those of you who follow John on social media, you will know that he has just returned from an Adventures by Disney trip to California. 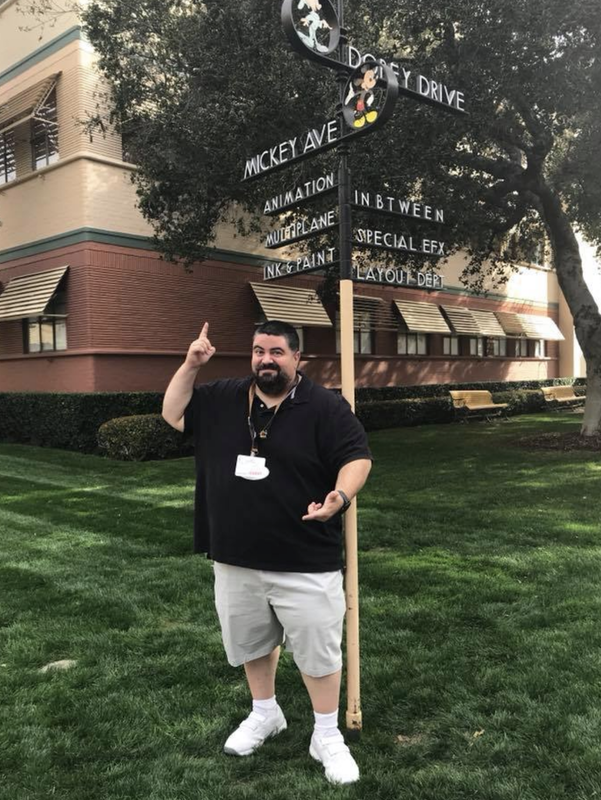 Here he got to tour the Disney Burbank Studios as well having a stay at the Disneyland Resort. On the show, we discuss, day by day, his adventures from the highpoints to the parts that were not as great. As this was his first visit to Disneyland there were so many things to see and do. However, sadly, due to time constraints, John did not manage to do everything he wanted. But isn't that the best thing about Disney - making plans to visit again! 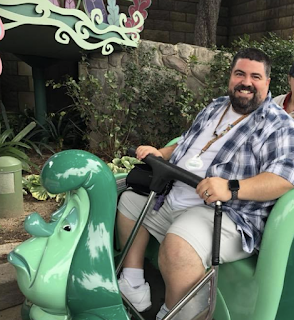 John's favourite attraction in Disneyland was the superb Alice in Wonderland ride. 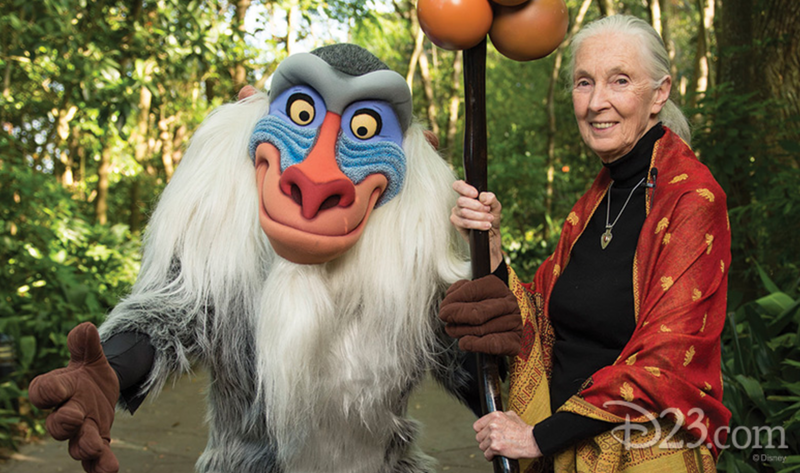 He loved it and this attraction, to him, was everything that is great about Disney. Another big hit of the trip was Radiator Springs Racers. The company he has ties with rented out the entire Cars Land and he was able to have three rides - without interuptions or queues! Finally, John answered some listerners questions before signing off on the interview. It was great to chat with him and can't wait to talk Disney once again in the future. 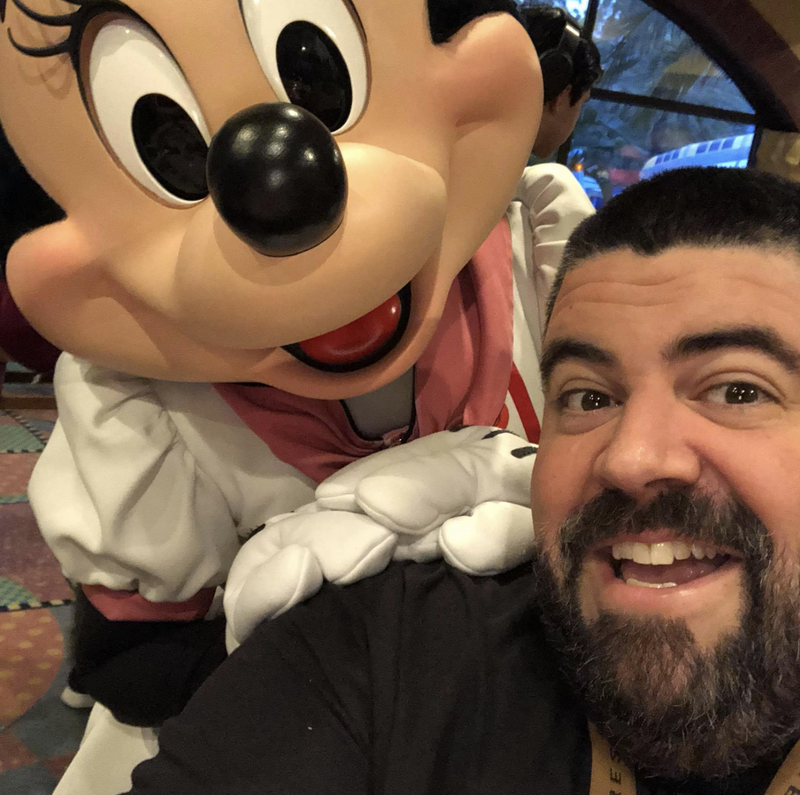 Welcome to the show notes for the Disney Dream Girls Podcast, show number 204 for Sunday 8th April 2018. If you want to listen, whilst you read these notes, all you have to do is press the green triangle on the audio player below. Coming up on this show, Michelle is joined by the host of the Window to the Magic Podcast - Mr Paul Barrie. 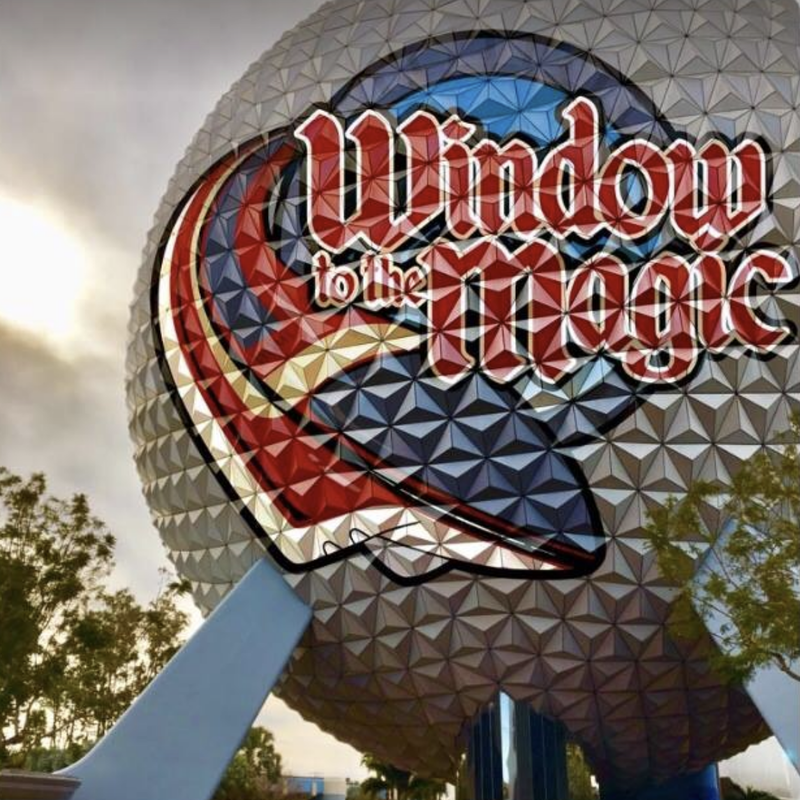 It has been quite awhile since Paul visited Walt Disney World and the changes were numerous. However, this was a relatively short trip only allowing him three park days. Some difficult decisions had to be made and on the show Paul shares his thoughts, feelings and revelations about the new attractions on offer. 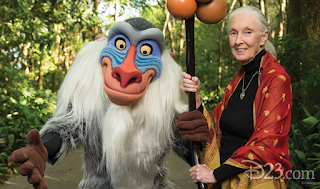 His first full theme park day was at The Animal Kingdom and a big draw was Pandora. 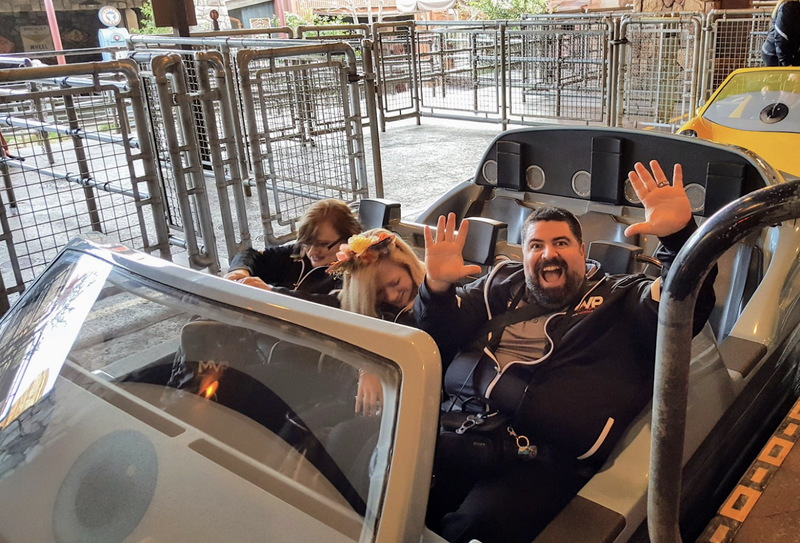 Due to motion sickness Paul was unable to have a ride on Flight of Passage, however he did make a Fast Pass reservation for the Na'vi River Ride. He dined well at Tiffins and as you can see, the food is very enticing. Onwards to a day at EPCOT and here the selections were more of what was not present rather than additions. However, he did make a stop to see the changes in Norway and enjoy a pleasant rendition of Let It Go! Despite Michelle warning him, he ate at the Rose and Crown and even managed to enjoy the curry he had ordered. 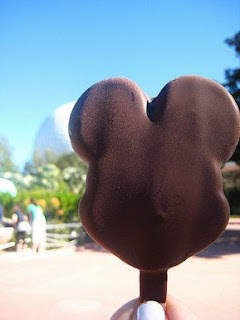 A final day was enjoyed at the Magic Kingdom and time was spent enjoying the changes to Fantasyland. 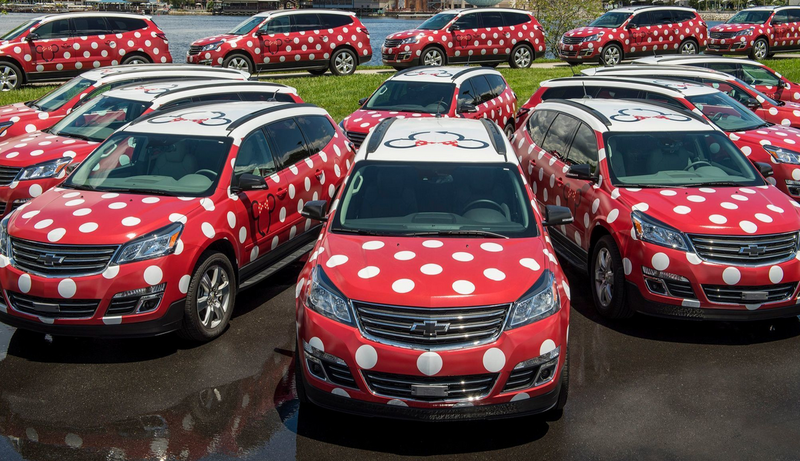 Whilst there, Paul tried out the Minnie Van to the park and could see the massive advantages this, pricey, option offered to families. 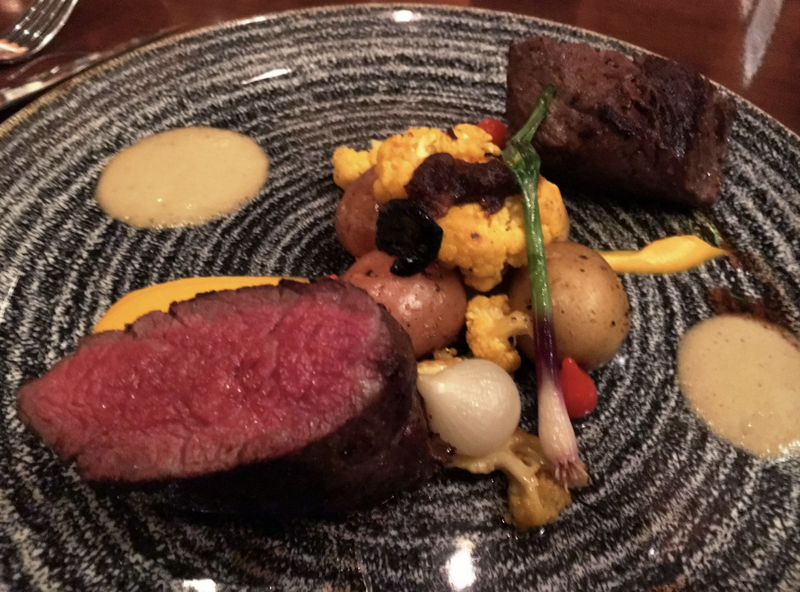 With a trip to Disney Springs and a meal at Ragland Road, his trip was over far too soon! If you want the full details - you will have to listen to the podcast! Want to find out where to find the best chocolate treats in the American Disney theme parks? Well read on because below we share our top finds! 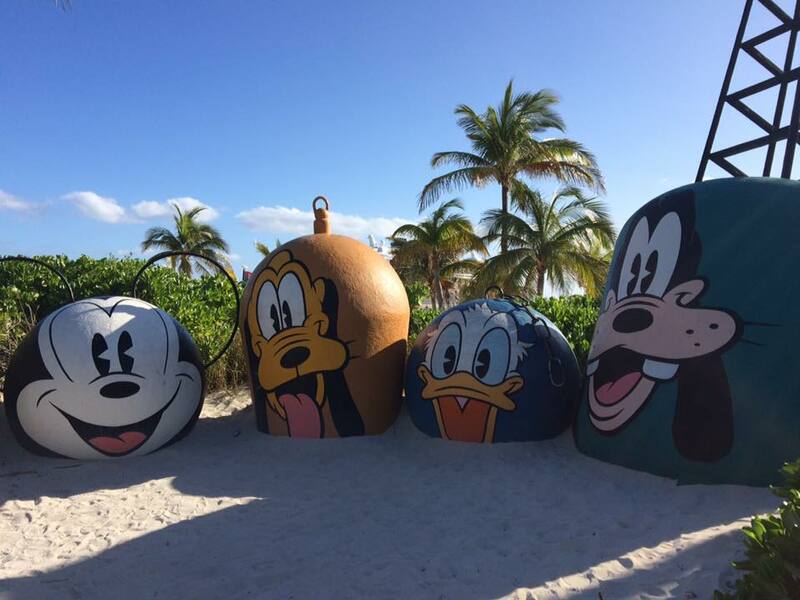 If you want to hear us discuss this, it is on our podcast - The Disney Dream Girls Podcast, show number 203 for Sunday 1st April 2018. You can find us on iTunes, Stitcher Radio and all podcast catching places or if you want to listen now all you have to do is press the green triangle on the audio player above. Lets get to the chocolate! 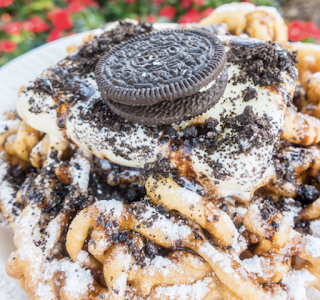 Our first item is a personal favourite of Jayne's - funnel cake. Currently, there are two delicious chocolate enhanced versions a cookies and cream version in EPCOT and a chocolate brownie version in Disneyland. Both are guaranteed to hit the spot! These are monster desserts and the they do come out to be one of the pricer items on our list but Jayne's top tip is to share it round! 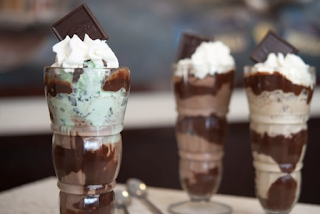 Moving to our next top tip - Ghiradelli. 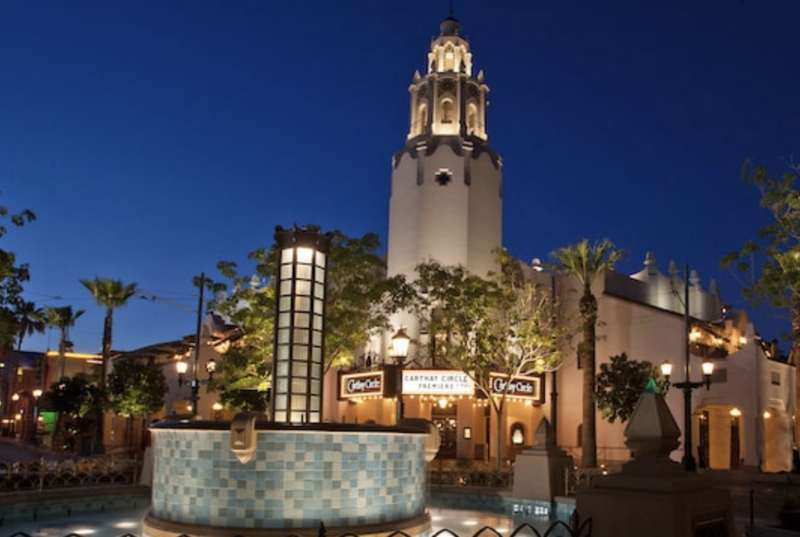 In the Disneyland Resort this can be found inside Disney California Adventure and in Walt Disney World it is in Disney Springs. As you enter the store, you are given a complimentary chocolate - so this is the only item on our list which is free! Anything here is good especially if it includes their chocolate fudge sauce which is devine! So basically anything on the menu with that - will be awesome! However, in our opinion, the most indulgent item is the Painted Ladies Midnight Reverie but there are a trio of painted ladies and Jayne's personal favourite is the Espresso one. 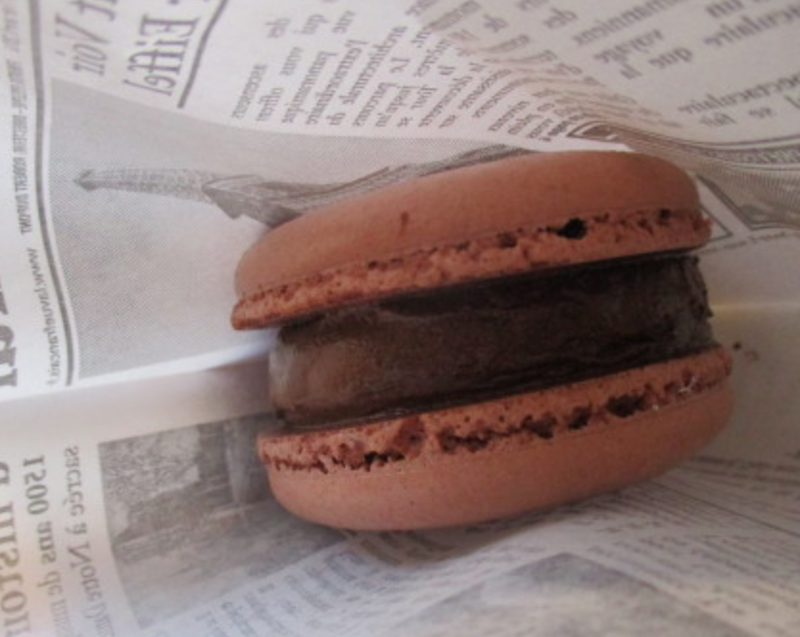 The next on our list was a hop over to EPCOT to the France pavillion to L'Artisan Des Glaces for their amazing chocolate macaron ice cream sandwich. Mouthwateringly soft macaron with deep rich chocolate ice cream - perfect for a Florida cool down. Many love a chocolate/coffee combo, however another great combo is chocolate, nuts and caramel - a fabulous trio. 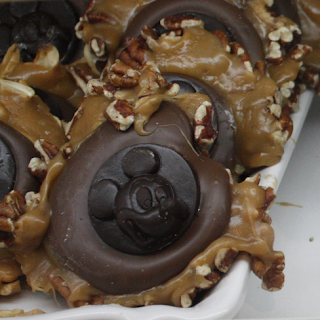 These ingredients make up the nut clusters that can be found in the confectioners on Main Street USA. Maybe it is due to the Mickey on the front, or just could be the two types of chocolate but these are a great treat. 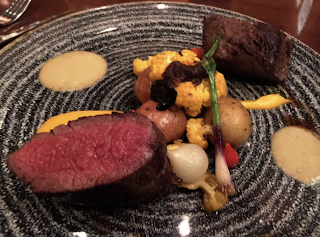 Next on the list is an offering from the Satu'li Canteen at Animal Kingdom. This domed delight, is the chocolate cake from the quick service in Pandora. It has a crunchy base then rich chocolate goodness with a crisp outer shell. 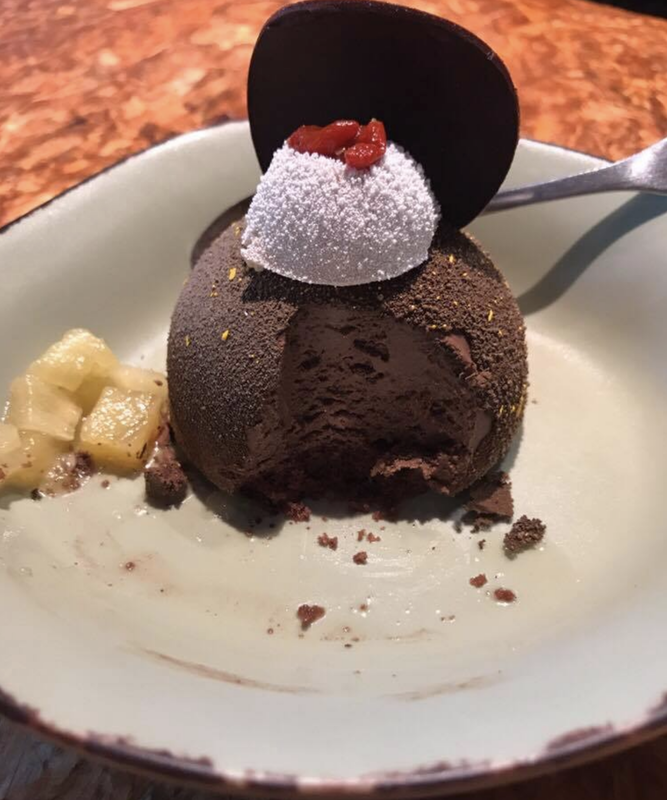 The banana cream on top and the pineapple on the side compliment it perfectly. 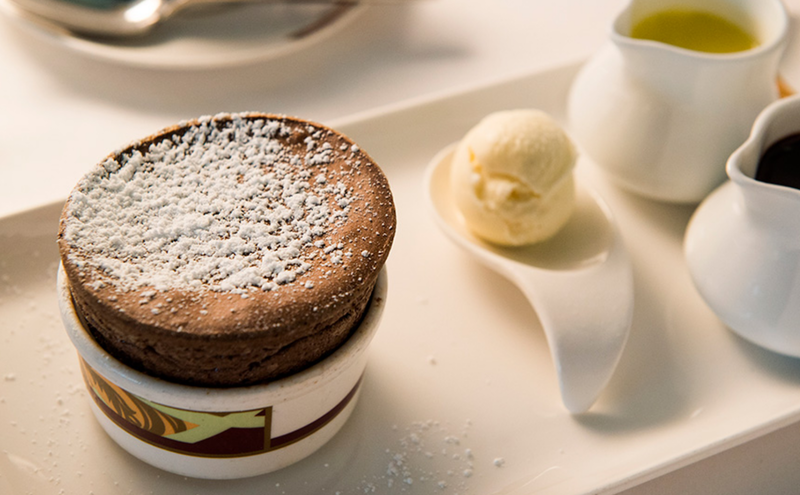 This is a fabulous dessert and well worthy of its entry to this list. 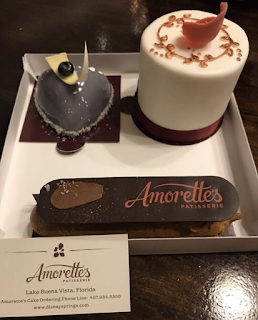 There can be no list of the best chocolate in a Disney theme park without a very big mention to Amorettes, which is a must visit store in Disney Springs. 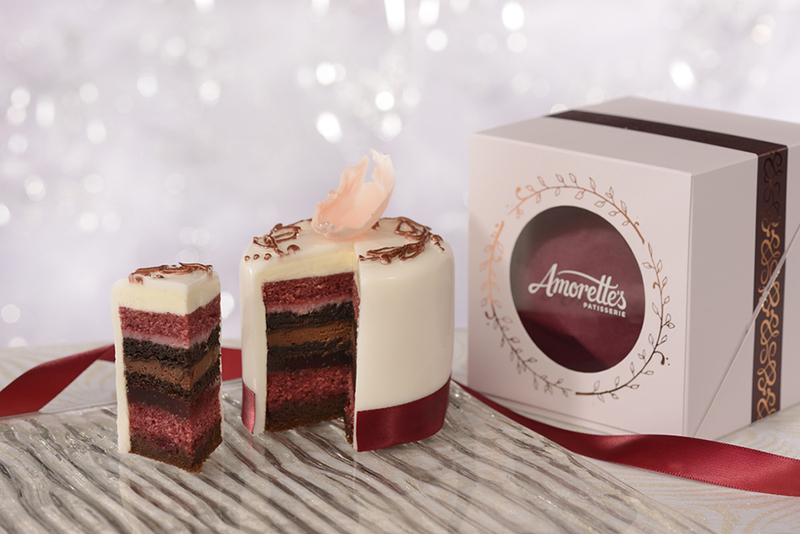 There are so many chocolate delights here to enjoy but a must have is the petit cake. It has eleven layers of red velvet cake, Italian buttercream, fruit jel, chocolate and cherry mousses. To be honest, we could have included many other items from here but another amazing item is their chocolate covered strawberries - three for $6. 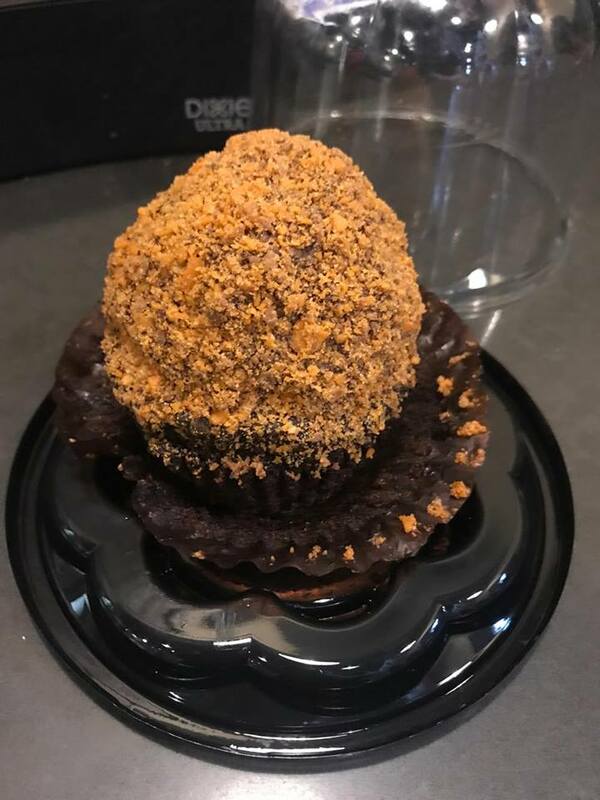 Our final item is the Butterfinger cupcake, which is available from Starbucks at Disney Hollywood Studios. 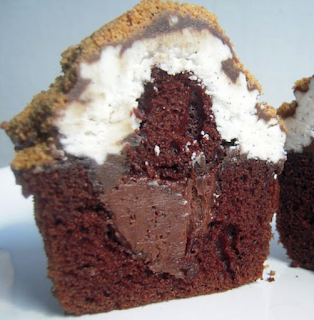 This is under $6 and packs a massive chocolate hit being a chocolate cupcake with chocolate fudge filling, a marshallow topping that is dipped in chocolate before the Butterfinger crumbles are added. Try it - you will thank us!